On Thursday, the South African Judicial Inspectorate for Correctional Services, JICS, issued its 2017-2018 annual report on the state, and statelessness, of prisons in South Africa. The findings are both dismal and altogether anticipated. The prisons are in disarray. Due to restricted funding, JICS inspectors only visited 81 facilities. South Africa has 243 “correctional service centers.” Overcrowding is way up, suicide is way up, remand prisoners still make up way too much of the population. Infrastructure is a disgrace. Assault and torture are everywhere. Rehabilitation is virtually nonexistent. According to JICS inspecting judge Johann Vincent van der Westhuizen, “Overcrowding is at the core of everything else that exists (within prisons) … The situation of mentally ill inmates has become urgent.” In one year, the number of prison suicides rose from 52 to 82. In the past year, suicide was the highest cause of unnatural deaths in prison. What is going on? 164,129 people are being held in South African prisons. 44,158 are awaiting trial. 27% of those persons in these hellholes are officially still innocent. Further, according to the JICS report, 1200 prisoners diagnosed with mental illness were kept with the general population. Many of those 1200 are awaiting transfer to “an accredited institution.” The public policy right now is to move people living with mental illnesses who are in overcrowded state hospitals to overcrowded prisons … and then “discover” and wonder that suicide is on the rise. Prisons are not mental health institutions. The staff is not trained, the very architecture is inappropriate. The staff is also not trained to diagnose for mental health issues. Solitary confinement, or segregation, is traumatic. Extended solitary confinement is traumatizing. Intense overcrowding produces trauma. There are individuals who enter the prison with mental illnesses, and there are those who suffer mental illness because of the conditions in prison. 1200 is a low estimate. What happened to Emily Hartley? The State murdered her. On April 23, 2016, Emily Hartley, 21 years old, living with severe mental illness, was found dead in the exercise yard at HMP New Hall, near Wakefield. Emily Hartley was found hanging. According to reports, she entered the exercise yard at 3 pm. She was “found” two and a half hours later. Emily Hartley told the staff she wanted to end her life, and the staff left her unmonitored for two and a half hours. In 2015, seven women killed themselves in prisons in England and Wales. In 2016, 12 women prisoners committed suicide. Does anyone care? Yes. Family, friends, supporters care. Does the State care? Absolutely not. If it did, Emily Hartley would be alive and perhaps even thriving today. Emily Hartley had a history of self-harm, suicide and drug addiction. In May 2015, Emily Hartley was living in a multiple occupancy building. She set fire to herself, her bed and curtains. She was charged with arson … for setting herself on fire. Rather than send her to a hospital, for the help and care she clearly needed, she was sent to a bail hostel, where she resumed taking drugs. This was considered a breach of bail conditions, and so Emily Hartley was sentenced to two years and eight months in prison. She was sent to New Hall in November 2015. By the end of April, she was dead. Emily Hartley was supposedly monitored under suicide and self-harm management protocols. That should have meant observation at regular intervals. Whether or not those occurred remains to be seen. What is known is that Emily Hartley continued to self-harm throughout her stay at New Hall. Emily Hartley repeatedly told the staff that she wanted to die. She complained that that staff bullied her and did not listen. The staff responded with repeated disciplinary procedures. On April 23, the day she died, Emily told her mother, by phone, that she was feeling manic and that no one was checking on her for hours on end. This morning, Nicola Ferguson Sturgeon, First Minister of Scotland and leader of the Scottish National Party, wrote, “Tomorrow sees a major milestone in the transformation of our justice system. We will begin the demolition of Cornton Vale women’s prison, a move that marks the next stage in our plans to ensure Scotland’s penal policy doesn’t just punish people who’ve committed crimes – important though that is – but helps deliver safer communities in the long term.” Cornton Vale is Scotland’s only women’s prison, and it has been a toxic hot mess for decades. Its destruction is welcome and long overdue. Cornton Vale has been called the “vale of death”, due to its regularly high rate of suicide. Between 1995 and 1998, eight prisoners hanged themselves. Yvonne Gilmour hanged herself in 1996. So did Angela Bollan. Outcry and inquiry ensued. In 2001, in the span of a single week, Frances Carvell and Michelle McElvar hanged themselves. Outcry and inquiry ensued. In 2012, Sarah Mitchell was “found dead” in her cell. Outcry and inquiry ensued. Outcry and inquiry, outcry and inquiry, the same drumbeat for more than twenty years. During that time, commissions found that the prison was overcrowded. Report after report decried the rising rate of women’s incarceration. Everyone seemed to agree that too many women were being thrown into prison. Meanwhile, Scotland’s women prison population rose by 120% since 2000. As of last year, Scotland “boasted” the second highest rate of female imprisonment in northern Europe. Spain’s number one. Last year, a commission found that women at Cornton Vale were forced to use their cell sinks as toilets at night, because they had no access to proper toilets. It was just the latest scandal to mark the dismal history of Cornton Vale. Various commissions have described Cornton Vale as “not fit for purpose”; “wholly unacceptable in the 21st century”; “in a state of crisis”; “Victorian”; “a significant breach of human dignity”; “an unacceptably poor establishment”; “disgracefully poor”; and, as always, notorious. After all the reports and deaths and harm, Scotland finally decided to shut Cornton Vale down. The first plan was to replace Cornton Vale with a larger prison, but cooler, evidence based heads prevailed, and that plan was dropped for another, an 80-bed prison, five regional 20-bed facilities, community sentencing and service, and much greater funding for mental health, drug abuse, counseling and more. Cornton Vale is more than a “vale of death”, although that would have been enough. It was the vale of women’s slow and painful death and deaths. For the past two decades, Scotland criminalized women’s lives and bodies and then, by unequal funding within the prison system, ensured that no one would leave unharmed. Tomorrow is a milestone. Cornton Vale will be demolished. Which women’s prison is next? Who cares that the State abandoned Caroline Ann Hunt? On September 29, 2015, Caroline Ann Hunt, 53 years old, a mother, was found dead in her cell at HMP Foston Hall, Derbyshire. Caroline Anne Hunt was found hanging in her cell. In 2015, four women killed themselves at Foston Hall. In 2015, seven women killed themselves in prisons in England and Wales. In 2016, two women killed themselves in Foston Hall. For the last few years, more and more women prisoners have killed themselves, or better, have been placed in situations where suicide seems like the only available option. Last year, 12 women prisoners are reported to have committed suicide. Does anyone care? Yes. Family, friends, supporters care. Does the State care? Absolutely not. If it did, Caroline Ann Hunt would be alive and even thriving today. Caroline Ann Hunt had never been arrested. In prison, Caroline Ann Hunt repeatedly talked of suicide, and tried to suffocate herself the night before her death. Fellow prisoners reported their concern. The staff largely ignored both the concerns and protocol, placed her in a single cell, and pretended to monitor her. An inquest that ended this week notes, with great concern, the staff failings. Others note the State failings. Of course, the government says it will do something, but it won’t. 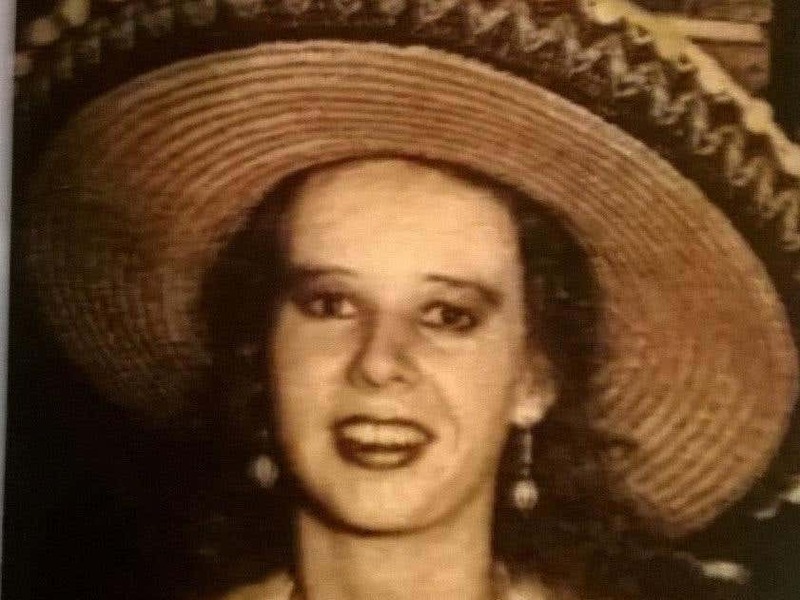 Carline Ann Hunt’s daughter said, “On 29th September 2015 my mother, Caroline Hunt, passed away aged 53. She was found hanging by a bedsheet in a cell in HMP Foston Hall. Since then my life has been a whirlwind of difficult decisions and emotions. I have learned some very sad truths about life inside prison, and just how difficult prison is for the most vulnerable people in society. “My mother was a very kind person, who cared deeply for her friends and family members. I believe she was sadly blighted with various mental health issues throughout her lifetime, which led directly to the circumstances surrounding her committing an offence, the first she ever committed. In prison, she felt hopeless and frightened about her future. “Tragically for my mother, there were many missed opportunities to protect her from the obvious risk she posed to herself, including concerns raised by other prisoners about her risk to herself, and to provide the support she clearly needed. Had the opportunities been taken my mother would probably be here with us all today. How many deaths will it take till we know that too many people have died? The State does not care if the tower of cadavers is ten or ten thousand, and, if history is any guide, Caroline Ann Hunt’s story, life and death will soon be forgotten by most of us. This is who we are. We are the citizens and builders of the State of Abandonment. This is how we will be remembered. We all abandoned Caroline Ann Hunt, and we continue to do so, day in and day. 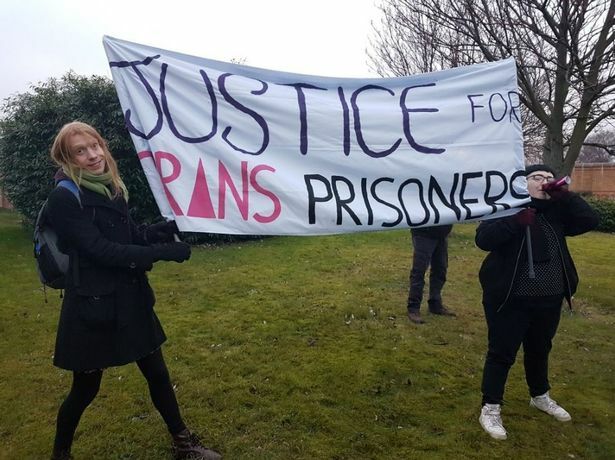 On Sunday, January 22, as part of International Trans Prison Day of Solidarity and Action, 100 or so people gathered outside HMP Pentonville to give witness to transgender prisoners who committed suicide resulting from having been denied medical healthcare related to transition and from transphobic violence. In England in the past two years, three transgender women have been “found dead” in their cells: Joanne Latham and Vicky Thompson, in 2015, and Jenny Swift, on December 30, 2016. Despite their desperate pleas, all three were in all-male prisons. Joanne Latham, Vicky Thompson, and Jenny Swift didn’t succumb to despair. They were murdered in cold blood by the State. When Vikki, or Vicky, Thompson died, she was twenty-one years old. Vikki Thompson, born male, identified all her adult life as a woman. Arrested for robbery, she was sent to a men’s prison. She said if she were sent to a men’s prison, she would kill herself, and she did. The State `investigated” … again. Vikki Thompson was released from all of that, however. After the back-to-back suicides of Vikki Thompson and Joanne Latham, the English government put new policies and practices into effect … but too late for Jenny Swift. Those policies went into effect January 1, 2017. Jenny Swift was sent to HMP Doncaster on November 17. Opened in 1994 and run by Serco. Doncaster hasn’t had a checkered career because it’s been bad from the start to the present. The chief inspector of prisons described the place as squalid, worrisome, and run with “institutional meanness.” At various times, Doncaster has had the highest prison suicide rate in the country. These are only some of the reasons people refer to Doncaster as Doncrataz. HMP Doncaster is bad for everyone. It was fatal for Jenny Swift. Jenny Swift’s death has at least three stories. There’s the story of a woman placed in a men’s prison and the story of a transgender woman placed in a men’s prison. These alone and together are enough to make one weep. Then there’s the third story. That story involves the staff and the State who knew that had Jenny Swift been arrested two months later, they officially would have had to take some kind of care of her, as a transgender woman and as a woman. But it wasn’t January 1 yet, and so they placed her in the deepest rung of hell where she would suffer and suffer and suffer. That story should make us howl. Jenny Swift was killed, not by indifference but by brutality. She deserved better. We all do. Every single death is a death too many. Jenny Swift wrote, “I am Jenny Swift, I am proud to stand my corner anywhere I need to.” Jenny Swift should not have died. We should not have killed her. In the California Institution for Women, women are STILL dropping like flies! What happened to Shaylene Graves? She was “found” hanging in her cell at California Institution for Women, or CIW. Given the situation at CIW, what happened to Shaylene Graves is nothing out of the ordinary. Last July, California Department of Corrections officials “discovered” a crisis. In the previous eighteen months, four women prisoners at the California Institution for Women, or CIW, in Chino killed themselves … or were killed by willful neglect: 31-year-old Alicia Thompson, 23-year-old Margarita Murguia, 73-year-old Gui Fei Zhang, and 34-year-old Stephanie Feliz. After Feliz’s death, fellow CIW resident April Harris wrote, “We have women dropping like flies, and not one person has been questioned as to why … I have been down almost 20 years and I have never seen anything like this. Ever.” The suicide rate at CIW is only exceeded by the rates of attempted suicide and self harm. What happened to Shaylene Graves? Just another death in the hellhole California Institution for Women. Shaylene Graves was a month from being released from CIW. According to all reports, she was a vivacious, engaged, sociable, charming, funny young woman. She was preparing to leave CIW, and to start an organization to help other women in their transition out of prison. She cared about her son, her family, her community. She cared about her sister prisoners, at CIW and elsewhere. Those who knew her are shocked by her death and deeply doubtful of the initial report of suicide. Many are shocked, but the death of Shaylene Graves did not rock the Institution, no more than the prison system failed. The prison system did far worse than fail. It refused, and in so doing killed Shaylene Graves. Whatever “facts” or “details” emerge concerning the specifics of Shaylene Graves’ last hours on earth, the facts are that if it hadn’t been her, it would have been some other woman at CIW. The numbers bear that out. There is no surprise when an institution fails to address a suicide rate eight times that of the national rate for people in women’s prisons, when “suicide prevention” in the institution is consistently rated as “problematic”, when the answer to an overcrowded suicide watch unit is to shunt the “overflow” into solitary confinement. The California Institution for Women is overcrowded, but so are the Central California Women’s Facility and the women’s section of Folsom State Prison. The overcrowding is worse at Central California, but the women there are not dropping like flies. Shaylene Graves requested to be moved from Central California to CIW, so as to be closer to her family. And now … she’s closer to her god, and her family grieves and rages and demands answers and, even more, demands justice. So should we all. We have had enough reports asking why are so many women attempting suicide at the California Institution for Women. We have had too many “discoveries” to claim any sort of innocence. Women are dropping like flies in the California Institution for Women because pushing women to drop like flies is more convenient than treating women as full human beings, more convenient than treating prisoners as full human beings, and a whole lot more convenient than treating women prisoners at all. Women prisoners and supporters, such as the California Coalition for Women Prisoners, long ago identified the crisis. They have continually, loudly denounced the conditions and called for a thorough overhaul, beginning with releasing most of the prisoners. Three years ago, when women in the California Institution for Women participated in California’s statewide hunger strike, they called attention to the State assault on their bodies, minds and souls. They identified a crisis, and the State looked away, and instructed all good citizens to do the same. That was three years ago. It is September 2016, and the assembly line of women prisoner deaths is not slowing down. It’s time to smash the machinery once and for all. Do it in the memory of Shaylene Graves. Barely eighteen years old, Mariam Abdullah died, July 19th, while in solitary confinement at the Perryville Prison in Arizona. Rebecca Maher, 36 years old, died, July 19th, while in police custody in the Maitland police station, in New South Wales, in Australia. Though the two never met, the circumstances and date of their deaths joins them in a tragic tale of State negligence and refusal. Both women deserved better, and in both instances, we all share the shame of their deaths and the manner of their deaths, for both of them needed help, and the State refused. Both of them were meant to be protected by State law and policy, and yet, on July 19th, both Mariam Abdullah and Rebecca Maher died … or were killed. In June 2014, Mariam Abdullah, 16 years old, was arrested. After a year in the Estrella Jail, where juveniles charged with adult crimes are `kept’, she agreed to a plea deal that would result in three years imprisonment. From the moment she entered Estrella, Abdullah was in and out of trouble, which meant in and out of solitary confinement. According to her attorneys and to advocates who met with her, her mental health deteriorated perceptibly. Then she turned eighteen, and was moved to Perryville, and again to isolation. Six weeks later, she wrapped a bed sheet around her neck and strangled herself to death. Family friend Kathy Malera-Bandjalan asks, “How do you take someone into custody who’s legally done nothing wrong, then detain them in a cell then they’re dead in four hours. Rebecca’s death is not going to be in vain.” According to Kathy Malera-Bandjalan, the family was never notified of Rebecca Maher’s detention and was notified of her death many hours later. What happened to Mariam Abdullah and Rebecca Maher? Absolutely nothing, and that’s what killed them. Arizona has specific policies, forced upon it by court decisions that should have ensured Mariam Abdullah’s survival and well being while in custody. Arizona refused to follow its own policies. 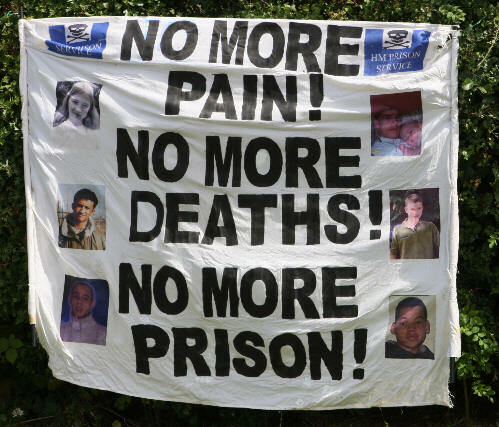 New South Wales has specific policies that should have ensured Rebecca Maher’s survival and well being while in custody. New South Wales refused to follow its own policies. It wasn’t one staff member here or one there. It was the State that decreed, and decrees that what happens in custody stays in custody, and whatever vulnerable woman happens to fall into custody can expect to suffer and die in custody. That’s the rule of law when the custodians are told they have no custodial responsibilities to care for their residents. So, rest in peace Mariam Abdullah; rest in peace Rebecca Maher. You deserved better. We all do. Instead, we all broke you and just threw you away.